No! We are always looking for new swimmers to join us. I haven't swam for years and I am out of shape. Will I fit in? Yes! We will get you back into shape. Our workout lanes are set up so that you will swim with other people of similar abilities. I am not a member of the LGBT community. Can I still join? Yes! We celebrate and welcome all gender identities, ethnicities & sexual identities. Where do you swim and can I swim at multiple pools? 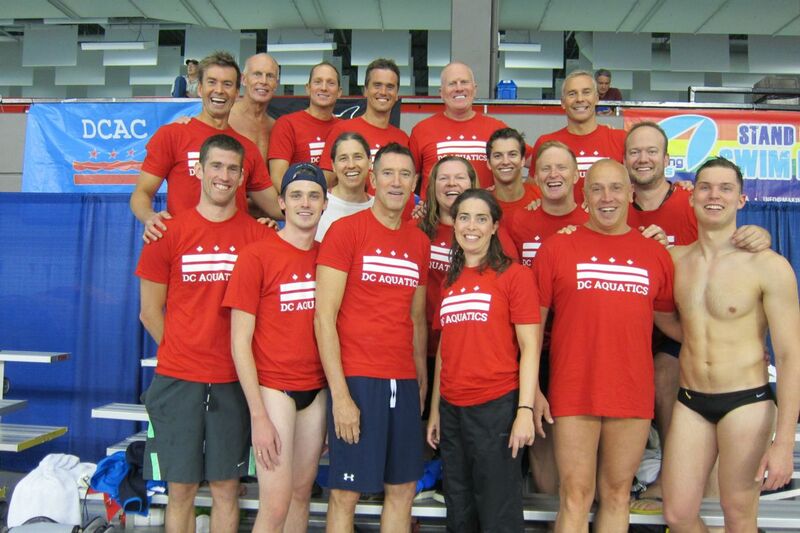 We swim in multiple pools throughout the D.C. metro area. See our Pool Directions page. You can swim at any of our locations. You can find the path to membership and the costs on our How to Join page. Do I have to compete in meets? No! Many of our members do not compete and swim with us for fitness, health and wellness. Don't be surprised if we suggest it on occasion though. How often do I have to come to practice? Most of our pool dues options allow for unlimited swimming within our schedule. There is no attendance requirement and you can come as often, or as little as you like. What if I can't swim. Will you teach me to swim? DCAC does not currently offer swim lessons to people who cannot swim. There are programs within the D.C. Parks & Recreation Department that can point you to swim lessons. What if I don't know how to swim all four competitive strokes? DCAC's team of coaches will help you with technique and stroke correction to achieve your goals. We offer periodic stroke clinics focused on each individual stroke. What if I can't afford to join the team? DCAC offers several types of financial assistance to assist in the cost of pool dues. See our Scholarships page. There is a list of contact emails on our Contact Us page. Can I try the team out before I join? Yes! See our Trial Swimmers page. We have a great team of coaches who will help you achieve your goals. See our Coaches page. I want to compete. What swim meets do you go to? We love to compete! See our Competition page for this year's list of swim meets. Our big meet every year is the IGLA World Championships. Former locations for the Championships have been Paris, Miami, Edmonton, Stockholm, Cleveland, Seattle, Reykjavik, Honolulu and Cologne. Coming up is New York City in 2019 and Melbourne in 2020! Just grab your suit and come to practice. You'll be glad you did.